Another commercial project is coming up in Gurgaon that is of Advance India Projects Limited (AIPL) coming up with AIPL Joy Street; the proposed Food and entertainment Destination at sector 66, Golf Course Extension Road Gurgaon. It is right to invest as all it says “First Rate Always Appreciate”. Advance India Projects Limited (AIPL) has a multi-dimensional brief-case ranging from commercial to residential and retail segments in the market. Headquartered in New Delhi with six regional offices in three states across the country, AIPL continues to transform the appearance and quality texture of India with innovative commercial landmarks, unparalleled retail developments and exclusive and premium residential communities. It is a mixed commercial development spread over 4 acres. The retail outlets will be set around themed courtyards and piazzas. These courtyards and piazzas will reflect a lively and carnival like ambience and have been designed as magnets to attract footfalls of shoppers and recreation seekers. Second Floor is dedicated for F&B – restaurants with spacious attached terraces, a world class multi-cuisine food-court, café spaces and an indoor fun zone. Managed Serviced Apartments: Super Area of 672 sq.ft. and 775 sq.ft. 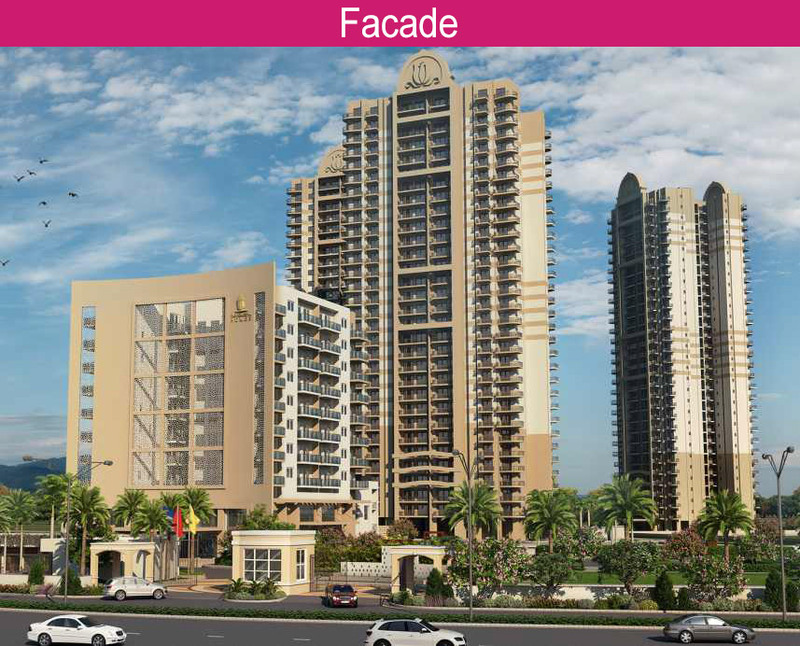 for Studio and 1 BHK apartments respectively. These apartments will be fully furnished with the standards matching that of a premium up market hotel. These units will be managed by a reputed operator. The buyers of these units will be entitled to a proportionate share of profits and ability for self use for a fixed period every year. Self-use Serviced Apartments: Having the same areas and specifications as the Managed Serviced Apartments, these will be ideal for those buyers who want to retain their keys for self use. However, as and when they require, they can use the concierge facility for giving their apartment on rent. Both the types of apartments will be serviced with housekeeping facility, room service and will have access to a coffee shop and health club. Furnished Office Suites: Tentative Name – Smart Suites – Size 775 sq.ft. fully furnished. A heaven where you can get your full share of sunshine and space. A heaven where the sky above and the earth below belongs only to you. A heaven that celebrates this wide and wonderful world. An understanding to revitalize your senses, and that’s just the opening. Welcome to AIPL Cattaro at Sector 70 A Gurgaon! This new residential project located at Sector 70 A, Gurgaon, nearby Sohna Road & National Highway – 8 offer exclusive 3 & 4 Bedroom Residences, lavish duplexes with double height lobbies & open spaces and a limited number of uber-luxurious penthouses. A new, modern residential community designed as a nurturing safe haven from the hustle and bustle of the city. An energizing haven where residents get pleasure from self-assurance comforts of home, and green gardens. So, be prepared for a bottomless delivery of stunning sights, see the horizon curve and look at the landscape alter with the seasons. The view is simply worth it, and that is why, doesn’t matter what your view, this is one investment you will look ahead to. Among the other residential projects in Gurgaon, AIPL Cattaro new project availing luxurious residential apartments comes as a profitable intent that will never ever happen again. As a result, this residential project at Sector 70 A, Gurgaon emerges as a next level of living but an advantageous prospects for upcoming, definitely.